The Leading Organization for Professional Tech Savvy Women... Since 1989. New One-Day Workshop Just Added! Share WITI's Newsletter with other Tech Savvy Women... Click Here! WITI Member Julie Lenzel Kirk Pens New Book! WITI member Julie Lenzel Kirk has a new book coming out in mid-June by John Wiley & Sons about starting, growing, and running a business. The book is titled "The ParentPreneur Edge: What Parenting Teaches About Building a Successful Business". It shares how Julie built her software company to multi-millions in revenues using analogies from her parenting, which she was doing at the same time. It makes the business concepts easy to relate to and understand giving women the confidence and the tools they need to start and grow their own business! If you own a small startup, how should you go about marketing your business? The No. 1 asset is you, says marketing expert Laurel Tielis. But you have to know how to harness the power of public relations. Ad Space Closes this Friday - Don't Miss Out! The influx of women into positions of influence in the world of technology has been a slow process. However, there has been real change over the last decade and a growing sense that the opportunities for women are expanding. Two years ago, Red Herring identified the 50 most powerful women in technology. This year we are digging deeper into the expanding pool of female talent to identify the up-and-comers around the globe who will help transform the industry in the coming years. Special Advertising Packages Available for WITI Supporters! Materials Due June 10th... Contact David Leighton at [email protected] or call 818-652-5854. Leadership roles are changing in today's global environment, and while dedication, hard work and decisiveness are still critical qualities, aspiring leaders should also be flexible enough to meet new demands and assignments in order to navigate the business world. It also helps to be provided with a bit of luck. In early 2007, nearly 2,000 women managers and 16 women CIOs participated in a national survey on today's technology and IT workplace. Please join Patricia Shafer, president of Compel, and associate Barbara Trautlein for a live 90-minute Webinar presentation and discussion. You'll see and hear highlights of the first public release of the results, be invited to ask questions, and have several opportunities to comment via interactive poll. It's easy to be intimidated by intellectual property when you are just starting out with your business. Come watch our experts demystify the process of protecting your good name, your brand and your hard work. The speakers for this seminar will go over the basics of trademarks, copyrights, patents and trade secrets. They will point out the most common mistakes made on company websites. The panel will also talk about the non-legal aspects of building and protecting a brand. Network management solution that is offered on a subscription basis and includes an appliance, software, implementation, and training. Manages and monitors everything from mission-critical applications to IPT to switches and routers. Vendor agnostic; recommended by Cisco Systems. 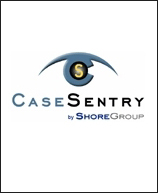 Product is called CaseSentry. Clients include Verizon Wireless, Moodys, ING Direct, and the IRS. Learn a new skill or brush up on something you already know. eClasses are convenient, flexible, and affordable. Instructor-led courses ensure someone is available to help you with assignment questions, provide you additional resources, and keep you up-to-date with rapidly changing internet technologies. See www.witi.com/center/eclasses/ for current offerings. BlogHer has developed one of the most influential communities by, for, and of women who blog. Join us this July, when BlogHer presents the world's largest blogging conference: "A World of Difference." July 27-29 at Chicago's Navy Pier. For more information visit: www.blogher.org. Choose from 35 intensive, one-to-five day summer short courses covering topics in science, engineering, and technology. Earn a certificate and CEU's. Full and part-time certificate programs for working professionals at any stage of their careers. The program includes a flexible curriculum of MIT courses designed around the goals of participants and their sponsors. Visit our website to learn about all of the MIT Professional Education Programs. She has $6 trillion to spend AND WOULD buy from you in a heartbeat. If only she could find you. Now she can. At the Market Place. The Market Place - the new online directory of women-owned businesses - has the power to connect you with the 82.5 million women who use the Internet. Our website already attracts thousands of visitors. And our new consumer and B2B ad campaigns will introduce the Market Place to millions more. You could spend a fortune searching for her. Or you can meet her at The Market Place. Visit www.parexcellencemag.com/marketplace and discover your best advertising opportunity. For a limited time only we are offering a FREE Market Place listing for WITI members who are women-business owners. Use promo code WITIWOMEN. This FREE Listings Promotion is available to WITI members until May 30, 2007. Sign up today! Atlanta WITI Network Meeting Save the Date! LOS ANGELES WOMEN'S SHAKEPSEARE COMPANY & ROSALIND PRODUCTIONS present "As You Like It"